Sherri McIntee truly exemplifies the characteristics of a Boys and Girls Club member. 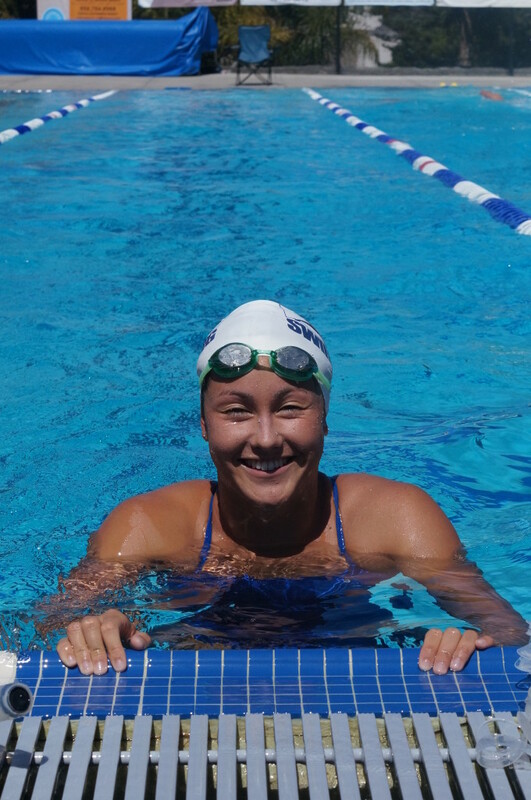 She has been apart of our Rancho San Dieguito Swim Team for the past seven years. During this time period, she has risen through the groups and is now team captain of the senior championship group. Sherri holds team records in the 100 and 200 breaststroke, and has attended the Speedo Junior National Championships several times. She is extremely hard working and determined. This is evident in her swimming successes at the National level. Sherri is a 7 time US Junior National finalist and represented Rancho San Dieguito swim team and the Boys and Girls Club of San Dieguito in the 2012 US Olympic Trials. She is a senior at Carlsbad High School in Northern San Diego County. Her dedication and determination is seen both in and out of the pool. Academically this is exemplified by maintaining an overall GPA of 4.5 and graduating in the top 1% of her class. Sherri exemplifies all 6 RSD values: Respect, Excellence, Quality, Teamwork, Leadership, and Integrity. She is a team leader, and takes her role as Captain very seriously. Everyone knows Sherri can see how committed she is to both academic and athletic success. She works very hard in both areas and understands the values of persistence, hard work, and determination. Sherri will continue to pursue excellence as a scholar athlete in Fall when she begins attending Norte Dame University and swims on their prestigious swim team.